Hello everyone, a lot of exciting updates have been added in-game and even more on the way (VERY good ones on the way)! The whole clan chat on both server and client sided have been re-written back from scratch, this new clan chat stores your ranks properly, refreshes locations more often and is a lot more efficient than the last one. It also includes some NEAT features such as the PVM Loot + Kills/Death messages. Clan Chat Ranks in chat! Your clan rank will now be displayed in the chat. Kills + PVM Loots in Chat! You can now toggle Kills and PVM drops in the clan chat. Copy Kit / Teleport Requests are back! You can now copy another player kit or teleport to him by right clicking on his name and request it. The clan settings load a lot faster now than before and online players always appear at top, no need to scroll throguh 200 friends to look for them! All ranks will also have their icon next to it so it's easy to find. The whole chat system client sided has been re-written back from scratch and is a LOT more efficient, it might even give some people fps boosts, it also fixes all issues where right clicking on some chat wouldn't display the right options and it allows me to easily add more right click options. Here are a few of them. View a topic from chat, when someone mentions a topic in yell you can view it with a right click. Display Skotizo or Jad locations by right clicking on the spawn announcement. Open Vote Website by right clicking on the vote announcements! - You can now use ESC key to close an interface. - You can now upload attachments on the forums without using 3rd party service. - Log In / Out messages now disappear after 1 minute. 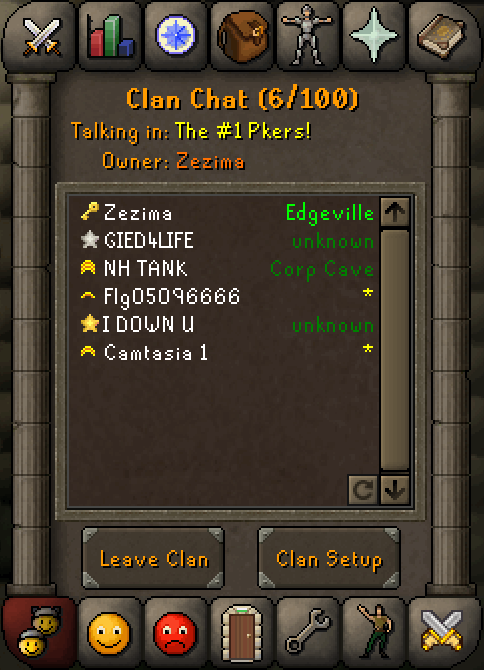 - Clan Chat messages in resizeable has been fixed. Thanks and very nice PVP related updates coming soon! Good updates mate, looking forward to the upcoming pvp updates. speacial thanks to gied4life 4 helping finding bugs and testing! 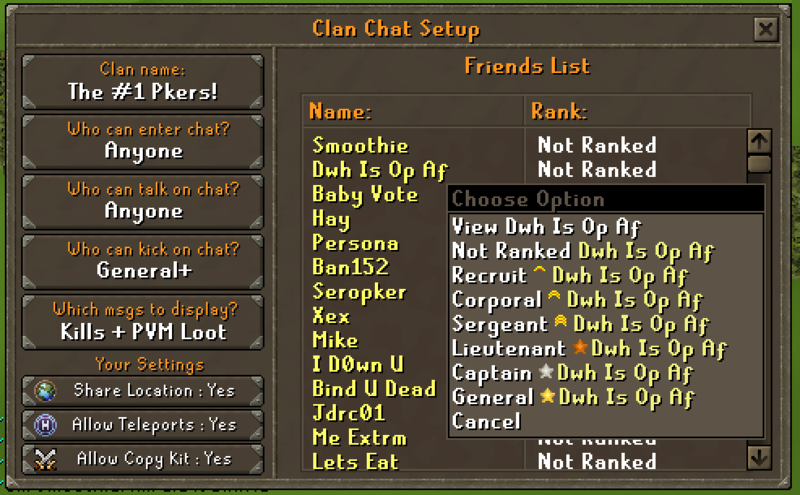 im worried my mom will see the "is op af" thing as clan chat ranks... please change it!!!!!!!!!!! Your mom knows you play Roatpkz? Clan chat updates!? NO WAY! Update seems quite developed. I'm loving it!